There are many films coming out these summer holidays which were derived from books. Here are some of the titles that you might want to read before seeing them on the big screen. Cormac McCarthy has penned some amazing novels throughout his career- quite a few of which have been adapted to the big screen- including the post-apocalyptic The Road, the Academy Award-winning 'o Country For Old Men, and All The Pretty Horses, which starred Matt Damon. 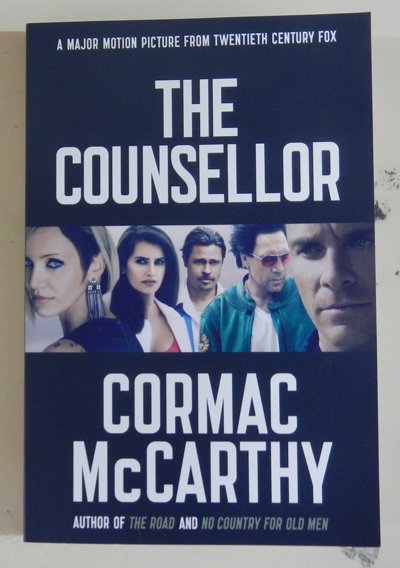 In his latest book-to-screen moment, we see McCarthy’s screenplay of The Counsellor adapted, featuring an all-star cast and a dark, gritty (and somewhat brutal) storyline. The Counsellor (who is never named in the book) is a lawyer who, wanting to impress his new fiancé Laura, decides that the best way to do that is to become rich. Enlisting the help of his shady friend Reiner, he becomes involved in a risky cocaine-smuggling operation, hoping it will bring him incredible wealth, and ignoring any possible implications that could arise from his participation. But he doesn’t reckon on the involvement of Reiner’s incredibly smart (and mentally disturbed) girlfriend Malkina, nor does he expect the operation to go awry, resulting in the Mexican drug cartel seeking vengeance for a coincidental event. With the first Hunger Games film taking in nearly $700 million at the box office worldwide, it was a sure bet that the sequel to this film would prove just as popular on its release in cinemas, and so far it has not disappointed. The film once again stars Jennifer Lawrence (as our reluctant heroine Katniss Everdean), who, having survived the Hunger Games with her friend Peeta, is forced to make the rounds of the 12 Districts as a ‘champion’. But through her travels, she is surprised to hear whispers of rebellion against the Capitol, with many people looking up to her as their role model and saviour. Already unsettled by all the drama, Katniss is shocked to discover that the Capitol, in an effort to stem the civil unrest, has decided to create an All-Stars version of the Hunger Games, hoping to be rid of Katniss and effectively forcing her to once again fight for her life. Well-written, and borrowing themes from literary classics such as Lord Of The Flies, Collins’ novels are worth reading. Don’t be deterred by the fact that the trilogy is aimed at teenagers- there is still plenty to keep adult readers engrossed in the story, and, because of some of the content, these books may even be considered better suited to an adult audience. 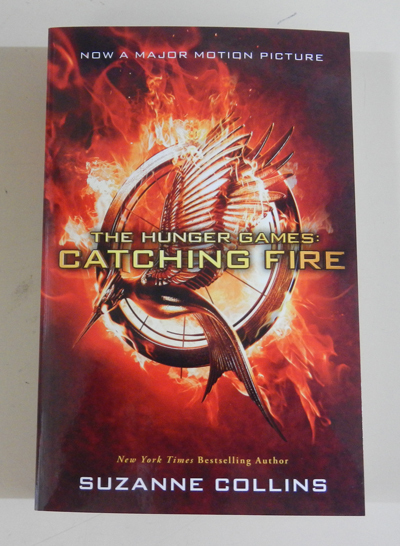 The sequel to Suzanne Collins’ highly popular Hunger Games, Catching Fire ticks all the right boxes relating to story continuation, adventure and action. If you haven’t seen the first film or read the first book I suggest you do so, not just so you’ll be able to follow this story, but so you can experience the events that have made the Hunger Games trilogy such a sensation. 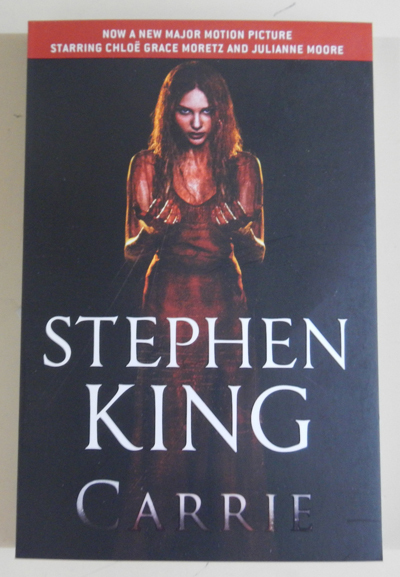 If you know someone who is quite the bully, then forcing them to read or watch Stephen King’s Carrie may be just the thing to snap them out of their sadistic ways. Written in the early 70’s, Carrie is the ultimate bullying revenge story, and the horrors that reside in the novel still resonate with today’s audiences in a way we’ve come to expect from one of the world’s best and prolific horror writers. This book allows the reader to see the story from several angles. Newspaper articles, psychology journal articles and abstracts from a commission report are interspersed amid Carrie’s account of the events of the story, as well as those of several other characters. This horror novella has already spawned one popular film version starring Sissy Spacek, and has now been remade for a new audience more than 35 years later. 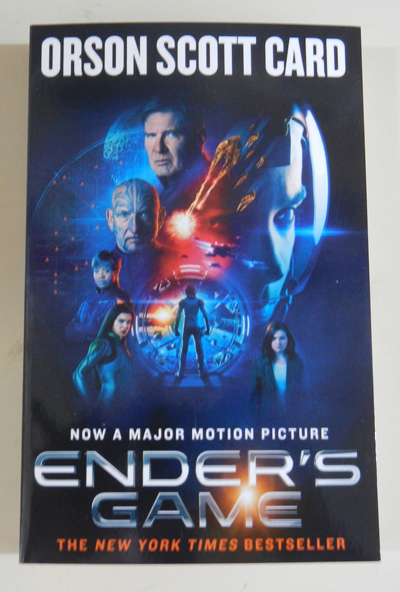 Ender Wiggin is a high-achieving young boy with a genius mind, who gets chosen at the age of six by the elite International Fleet to become a cadet in their Battle School. Leaving behind his parents, his bullying older brother Peter, and his beloved sister Valentine, he travels to the military base located outside Earth’s gravity field. Here, he must work with (and compete against) the other students for a place in the coveted squad, which is fighting a war with an alien race known as the "Buggers". For Ender to be able to eventually join the war and defend his planet, he needs to climb the ranks of the Battle School, working through challenges and completing strategic missions. With Colonel Hyrum Graff watching over him from afar, Ender is quick to ascend to the highest level. But while the International Fleet is working to create the perfect soldier in Ender, are they pushing him too far and instead turning him into a monster? This science fiction novel is a classic, and I’m actually surprised it took so long for Hollywood to adapt it to the big screen. All the elements for a blockbuster sci-fi film are there- drama, action, alien invasions and intergalactic space battles. Now, 36 years after it was written, and 28 years after it was first published, Ender’s Game has finally hit Hollywood.